What a sweetie! How can you resist this gorgeous little kitty relaxing in a beautiful garden scene? 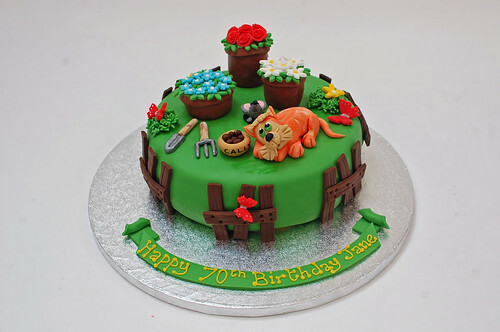 The Cat in Garden Cake – from £65.